Arrests: Is there more to the Boston Marathon Bombing that remains to be learned? Are there others linked to the events? New people developments were confirmed on Wednesday, May 1st. A conservative blog created the above image. Is there anything to it? 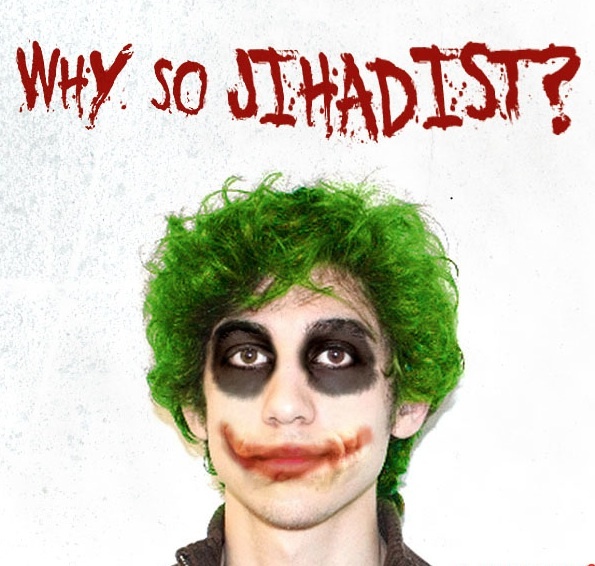 Or is it just a name game play on Dzhokhar sounding like "Joker"? Image source. @Boston_Police: Three additional suspects taken into custody in Marathon bombing case. Details to follow. 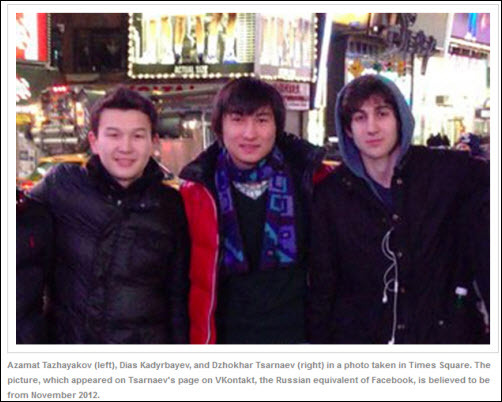 Boston Globe says the three are college students. 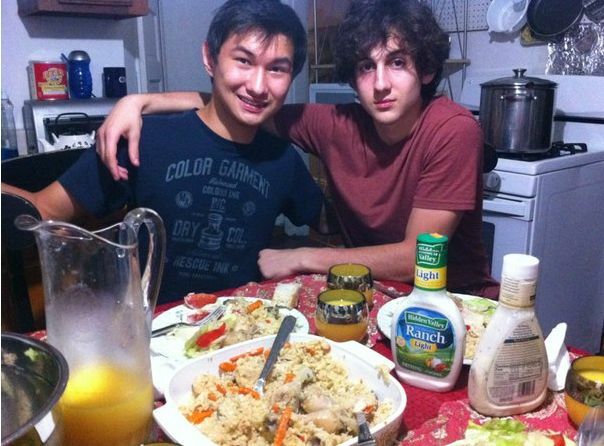 Two were said to be roommates of Dzhokhar Tsarnaev. Reuters is noting, "The third person taken into custody on Wednesday was a U.S. citizen, and all three were being investigated for actions taken after the bombings, the U.S. law enforcement source said." 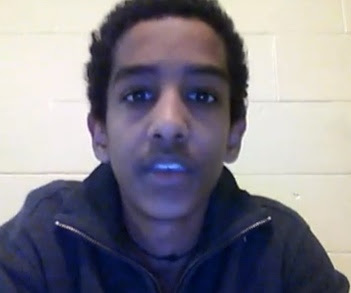 CNN is says that the third suspect has been confirmed to be Robel Phillipos, an American. Phillipos, a U.S. citizen, lives with his mother, who is from Ethiopia and works with refugees, WHDH-TV reported. Their Cambridge apartment is next to the gas station where the Tsarnaev brothers carjacked a vehicle before getting into the shootout with police in which 26-year-old Tamerlan Tsarnaev was killed. NBC's Pete Williams reports that the three suspects were all roommates of Dzhokhar Tsarnaev, and may have removed items, possibly a backpack, from their dorm on his behalf. CNN's Susan Candiotti says the items included fireworks backed in backpacks. (Over the weekend, police searched a Boston-area landfill in search of a missing laptop and more explosives.) They were under surveillance by the FBI for several days, and any crimes that may be charged with likely took place after the bombing, making them accessories after the fact. It appears there's no indication at this time that the suspectes were aware of the bombing plot or helped in anyway before it took place. They are also accused of lying to investigators during interviews.Earlier today, two men that previously been connected to Tsarnaev appeared in court on a visa violation hearing. 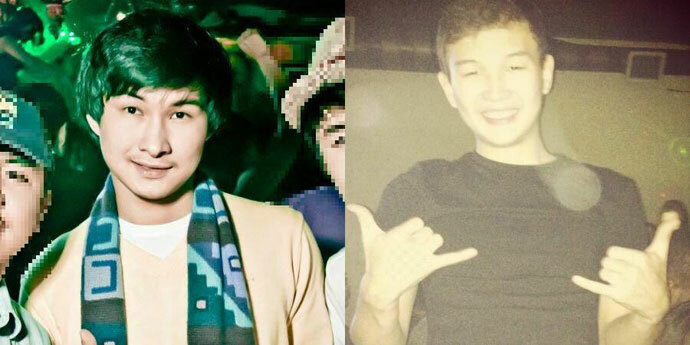 The men, Azamat Tazhayakov and Dias Kadyrbayev, both from Kazakhstan, were arrested more than a week ago on the visa charge and appeared at the hearing via video conference. It's been reported, but not confirmed, that those two men might have been among today's arrests. One of the students' lawyers confirmed the two men are suspects and will be charged in federal court later today, but has already denied any wrong doing int he case. The third roommate, who is American, was arrested this morning, per Pete Williams. 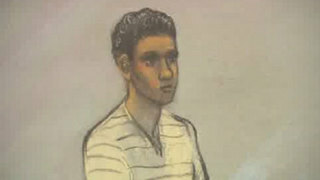 Boston police have taken into custody three additional suspects in the 15 April bombing of the Boston Marathon.The police department has released no further details of the suspects' identity or alleged role in the attack.Dzhokhar Tsarnaev, a 19-year-old immigrant student, has been charged over the bombing. His elder brother Tamerlan was killed in a shootout with police.Two bombs at the finishing line killed three people and injured more than 260. All together five people died in the week of violence and 299 were injured, some very badly.